When it comes to hearing aids and supplemental products, there is a world of options. At Simply Hearing, our audiologists and hearing instrument specialists have the knowledge and latest information to help select the right hearing aids for you. You may be surprised at all the different styles and types of hearing aids available. We’re here to guide you and help make your decision an easy one. We’re certain you’ll find an affordable hearing aid that’s right for you. If your work or hobby requires hearing protection, check out the custom earmolds and earplugs we offer specifically designed for your needs. Imagine listening to the TV, your cell phone, music or other devices, free and clear of wires! It’s possible with Bluetooth-enabled hearing aids. This technology is similar to wireless internet, providing crisp, clear sound. If you use your cell phone often, you will want to check out these accessories available to provide numerous options for use with your hearing aids. Many of today’s hearing aid styles require custom earmolds. We produce these earmolds to fit the exact contours of your ears, providing a perfect and comfortable fit. We also produce custom earplugs for industrial or home use. Musicians know that exposure to high levels of sound, sometimes for long periods of time, puts them at risk of permanent hearing damage. That’s why it’s so important to have proper hearing protection. Simply Hearing offers custom-made musician’s earplugs that limit sound exposure but allow the music to come through. For those who have trouble hearing on the telephone, CaptionCall is an excellent solution. This service is similar to captioned television – except the words appear on an easy-to-read screen on the phone. Learn more about CaptionCall here. The sound from a single gun blast creates a noise that’s loud enough to damage your hearing. ESP provides custom-fit in-the-ear hearing protection. Electronic hearing protectors also are available and are custom-molded for a precise fit. With hearing loss, people often also lose some of their listening skills. With LACE, these skills can be regained. LACE stands for Listening and Communication Enhancement and uses a computer program to help rehabilitate hearing. Simply Hearing is part of a select group of audiology and hearing centers offering Lyric invisible hearing aids. This new technology stays in the ear for months at a time and provides clear, natural sound. Oticon knows that hearing plays a large role in living a rich, full life. The company was founded on a compassion for people and a great understanding of the power of communicating freely. Oticon promises people first. With Phonak, life is on. The company’s goal is to improve the quality of life for people with hearing loss. Phonak has some of the best solutions to hear, understand and enjoy the sounds of life. ReSound wants you to connect to the world around you. The company’s hearing aids are designed with solid technology to adapt to your life and needs. 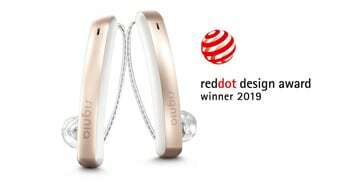 ReSound is a pioneer in smart hearing. Rexton hearing aids offer superior speech understanding with exceptional hearing technology. Rexton is the smart choice for durability, personalization and unprecedented wearing comfort. With Signia, you get the sound that nature intended. The company provides hearing aids that are invisible, waterproof – even rechargeable. Check out their complete line of wireless accessories to connect hearing aids to cell phones, TVs, mp3 players and other devices. Sonic Innovations provides hearing aids that mimic natural hearing. The company wants to make every day sound better. Starkey knows that hearing is an essential part of the human experience. The company is American-owned and operated, providing hearing solutions that range from wireless to invisible. Since 1952, Unitron has designed hearing aid products to make a difference in people’s lives, putting the wearer first. The company provides excellence by design. Widex hearing aids offer advanced, natural sound. 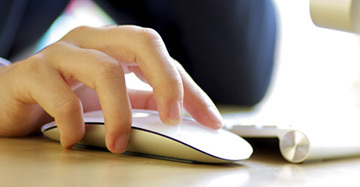 The company combines technology with functionality and aesthetics. Widex wants people to connect and communicate. 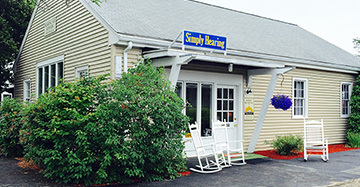 Come by and meet the Simply Hearing staff, or look for us at various town events. We’re ready to help you make the best choice to improve your hearing needs. We’re located at 332 Gifford Street, Unit 1, in Falmouth, or call 508-548-8123.